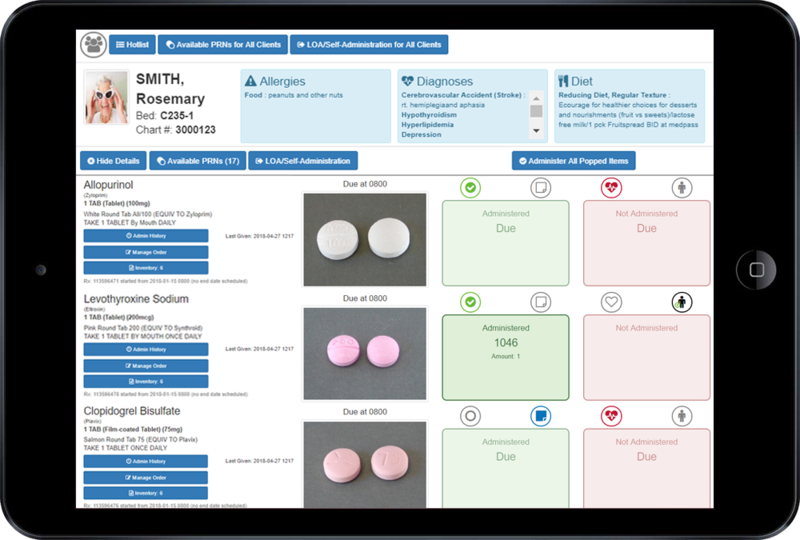 The new Pop and Dot feature allows for the end user of the electronic Medication Administration Record (eMAR) to verify the medications that are present within the strip packaging and to check off the medication as verified (pop it). The Nurse/end user will then leave the tablet or cart and administer the medication. When they return to the cart they can click on the “administer all” button and all of the medications are signed off at that point in time.